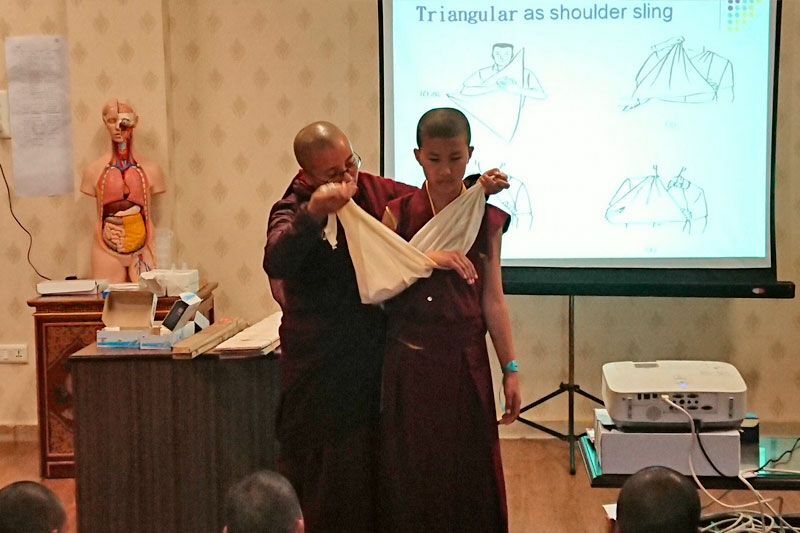 In the first session of his pre-Monlam teachings, Mingyur Rinpoche distilled the essence of meditation, practicing non-distracted awareness. He began the afternoon by summarizing the profound teachings on mahāmudrā detailed in Goshir Gyaltsap Rinpoche’s commentary on the Aspiration of Māhamudrā of Definitive Meaning. 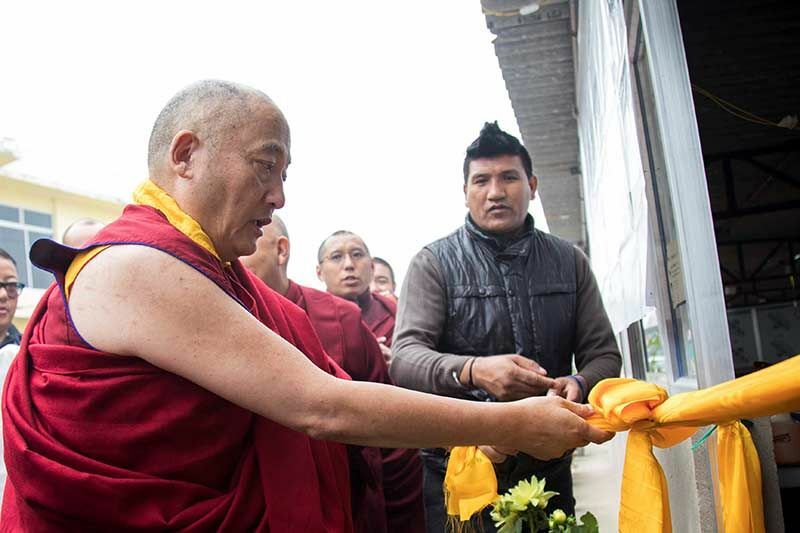 Mingyur Rinpoche said these pith instructions are a distillation of the Buddha’s 84,000 teachings. 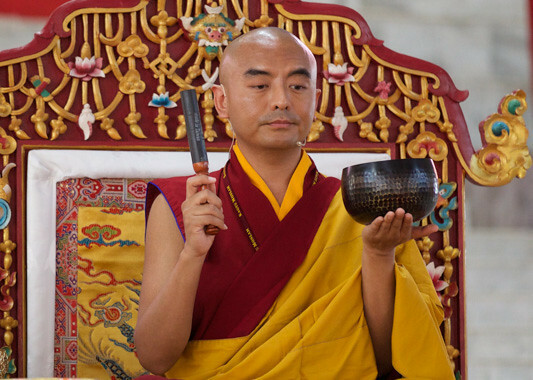 To make it even easier for us, Mingyur Rinpoche joked, he had kindly condensed these 84,000 teachings into three key points: preparation, main practice, and follow through. Preparation is refuge and bodhichitta. 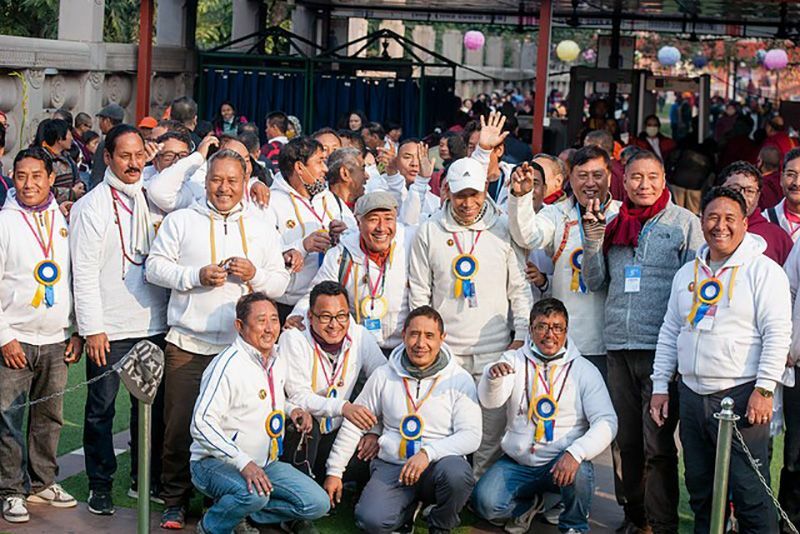 When we go for refuge, we are making a sincere promise to go to the Buddha as a teacher, the Dharma as the path, and the Sangha as companions on the path. “Who is the Buddha?” Rinpoche asked. “An ordinary sentient being with afflictions due to ignorance.” If we are able to rid ourselves of the adventitious stains we accumulate while wandering in samsara, then, because we all have Buddha nature, there is absolutely no difference between us and Shakyamuni Buddha and Vajradhara, he explained. The Buddha has inconceivable qualities like omniscient wisdom. Not only that, he also has loving-kindness and great compassion. Without these latter two qualities, he would be like the armless mother in a great flood who could not rescue her children. This raises the question: If the Buddha has qualities of omniscient wisdom, loving-kindness, and great compassion, why do we experience so much suffering? The answer is simple: each person experiences suffering due to the ripening of their karma. A second question is: If the Buddha cannot do anything to rid us of our negative karma, what is the benefit of going for refuge? The answer is that by going for refuge we can purify and exhaust our karma according to the power of our aspirations and supplications, whether they are small, medium, or great. In a mischievous manner, he smiled and said, “I have a small quiz to give you, but it isn’t difficult so you shouldn’t worry. Whatever I say, respond immediately. If you understand mindfulness, raise your hand.” Numerous hands shot up and he said, “Okay, good.” Then the quiz continued, “If you did not understand mindfulness, raise your hand.” Again, hands filled the pavilion and he encouragingly said, “That’s also good.” Lastly, “If you have some doubts about whether or not you understand mindfulness, raise your hand.” And just a few people raised their hands. He then clarified that each answer demonstrated signs of awareness. Next, came a meditation on sound. He struck the edge of the meditation bowl once. “If you heard the sound,” he said, “that is the awareness itself.” He then continued ringing the meditation bowl and as the reverberations slowly ceased, he struck it again. “The main point here is knowing you are listening and directing your mind to whatever sound you hear and knowing that you hear it, whether it is the sound of the bowl’s reverberations, a motorcycle, or so forth.” Thoughts may arise. Even while listening, you may think, ‘momos’ but that is perfectly fine, just keep listening to the sound. However, if you find you are listening to the sound and suddenly lying in your bed or sitting in a restaurant and you do not know how you got there – that’s distraction! If you are listening to the sound and not forgetting it, even while thinking about momos[Tibetan dumplings] or daal baati [rice with lentils], then you are not distracted. But, he reiterated, the essence of meditation is awareness which is knowing and being aware no matter what happens in your mind. This is the essence of non-distraction – the main practice of meditation. “ and we can slowly work up to that.” Whether the sound or shamatha meditation was easier is dependent on our constitution, he explained, and we should practice which comes more readily. 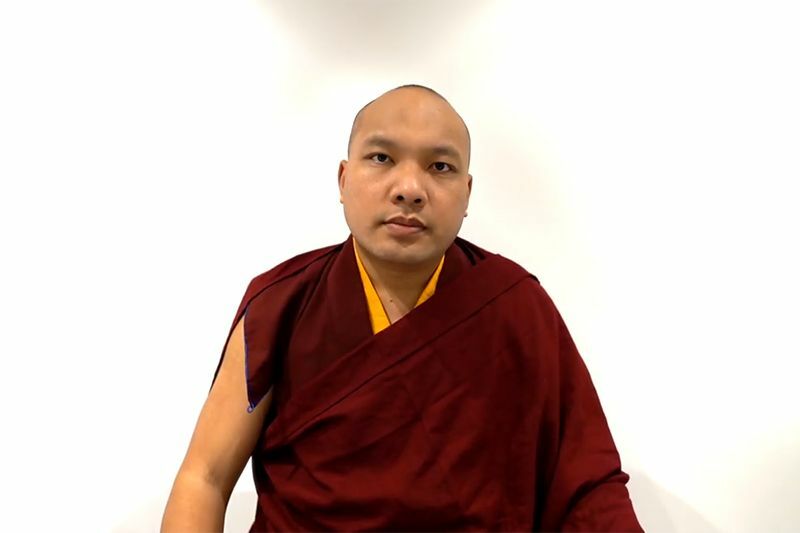 The last guided practice was voiceless, mantra meditation; the silent recitation of a mantra such as “Karmapa Khyenno.” This is the most sacred within the name mantras, Rinpoche made clear, and when we recite it there is no visualization, solely an invocation of the Karmapa, who is the embodiment of the activities of all the Buddhas. 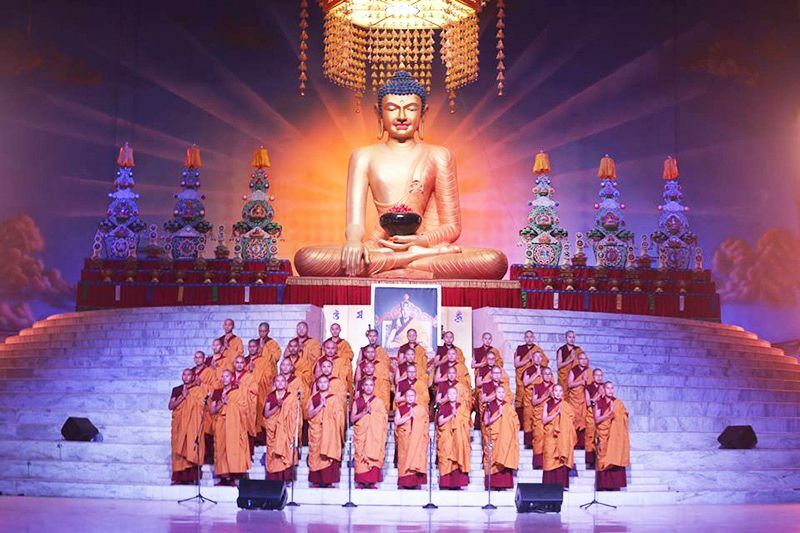 The session came to a close with two instructions – firstly, to practice five to ten minutes of meditation, preceded by refuge and bodhichitta and concluding with dedication; secondly, between formal meditations, to take up post-meditation practice by being aware, wherever you go, that you are walking and so forth. This concluded the first day of the pre-Monlam teachings.